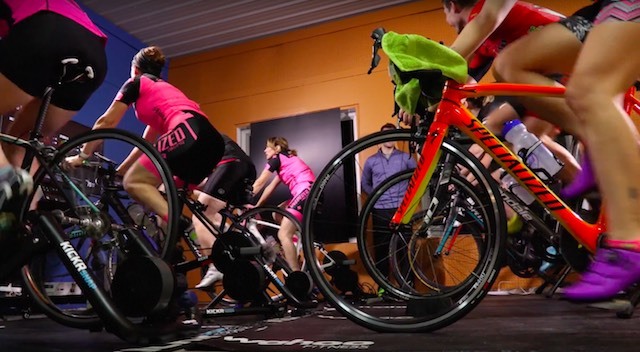 Promotional video for the Recyclist Bicycle Company featuring the store's new Wahoo KICKR Studio turbo trainer class and an interview with strength and conditioning specialist Danny Rivers of Advanced Movement Studio. Four CooLED 50 lights. Key light on Danny with reflector and barn doors. Hair light/rim light on Danny was a CooLED 50 with Bowens mount Fresnel lens. KICKR Studio class was lit with two additional CooLED 50 lights with barn doors and reflectors.